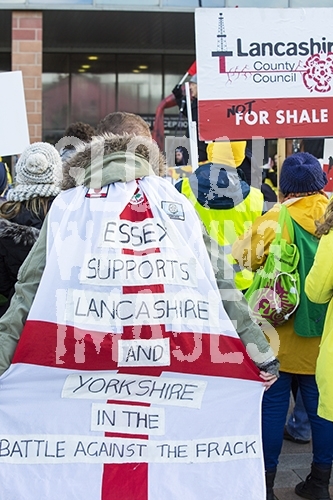 Cuadrilla applied to frack for shale gas in several sites in Lancashire but was turned down by Lancashire County Council, after huge local opposition. Cuadrilla appealed the decision. Tuesday 9th february was the first day of the appeal hearing at which a huge anti fracking demonstration was organised. It is widely believed that whatever the appeals decision it will be overturned by the Conservative Government, who are hell bent on fracking for gas.